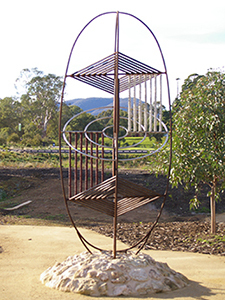 All cultures inscribe meaning in the landscape, many cultures erect cultural markers (monuments, memorials, public artworks and so on) to establish or reinforce cultural and symbolic meaning. 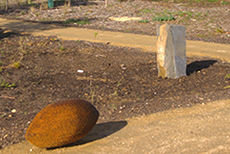 Traditionally Kaurna had no need to erect cultural markers, the meaning was already in the stories of the land, sky and sea countrty. 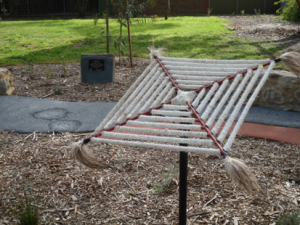 Now it is necessary to design and erect cultural markers to help make culture visible in the urban space for Kaurna Meyunna, other Aboriginal peoples and non-Aboriginal alike. 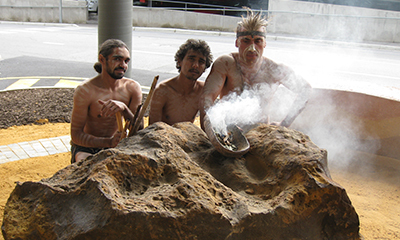 Tjrin Tjrins The Messengers are an evolving form of cultural marker and story teller. 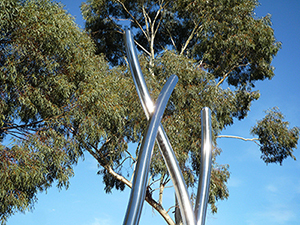 Sculptural and design elements for Kaurna cultural presentation on the landings of the Torrens Lake footbridge, Adelaide, the upper banks of the river valley of Karrawirraparri Redgum forest river. With Taylor, Cullity, Lethlean & Aurecon (in progress). 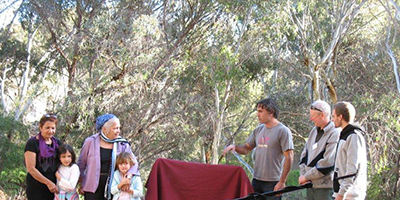 Development of Kaurna cultural presentation in the First Creek wetland. 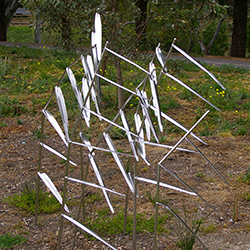 All texts with Michael Shanahan, Botanic Gardens of Adelaide. Rivers and creeks are like veins in the land; feeding, cleansing, and renewing life. Water is the essence of life. We must respect it. The amount of water on Ngankitta Yerta Mother Earth does not change. Less than 1 per cent of all fresh water is available for plants and animals, including humans. That’s less than half a teaspoon per glass of water. Plants give all things life. 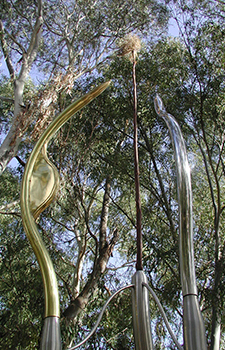 Karra, the River Redgum, were often along creeks and rivers. Like the old people they are the great, great grandmothers to us all. 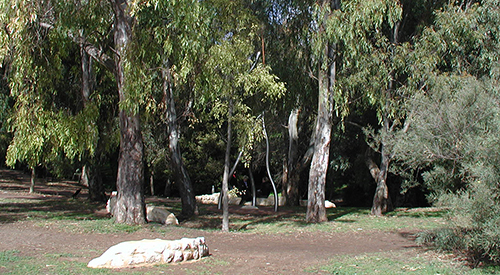 Within this botanic garden lives a Karra that is more than 250 years old. Animals, including people, helped to create the world. Yura, the great snake, brought life to the river for us. Animals are part of the living landscape, the ancestor spirits of the land. This place is part of all that we speak of here. 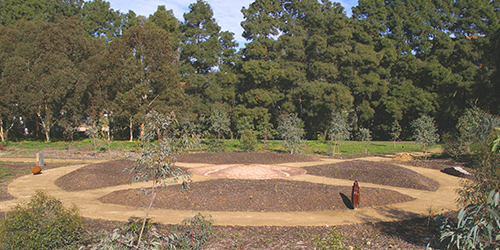 It’s a recent white fella way to harvest and cleanse the water and to provide water for Adelaide Botanic Garden. It is also a bi-cultural teaching place, for us to know more about water, all being together, for these days. 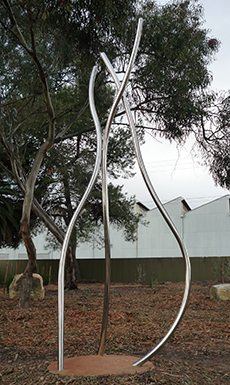 The first two of a series of cultural markers presenting Kaurna culture, history and people in the City of Charles Sturt have been installed at the City of Charles Sturt Civic Centre and the Pennington Gardens Reserve. Mikawomma open plains was a tree-studded grassy plain between Yerta Bulti (Port River region) and Tandanya (the location of Adelaide). 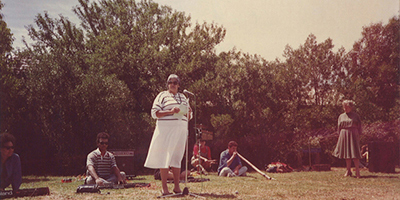 For Kaurna meyunna Kaurna people, Mikawomma had many tikkandi sitting/camp places during the seasonal movements, following the natural resources, from the foothills to the coast. This place was good for hunting paru meat/game and gathering mai fruits/vegetable foods. 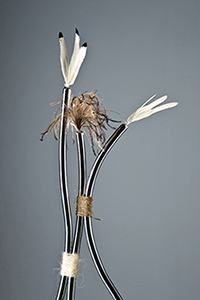 The kaya hunting spear, the midla spear thrower and munta large game nets were used for hunting and catching paru. This place holds memory of movement and stillness. 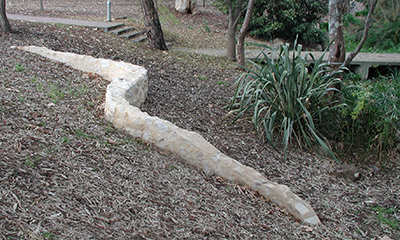 It is a layered ‘two message place’, which conveys stories of movement from ancient times to the present. 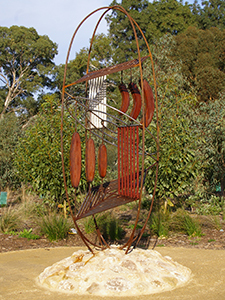 Symbolic civic spaces represent who we are as a culture and how we portray ourselves to each other and visitors to our place. 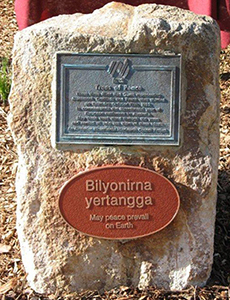 Victoria Square, which was dual named Tarndanyangga (the place of Tarnda, the red kangaroo) in 2003 is undergoing a major renewal which integrates cultural and spiritual place making. 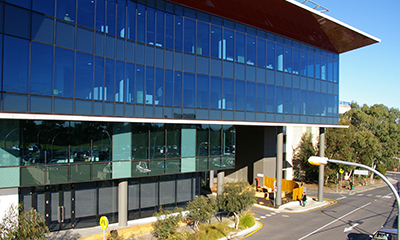 Karl began this journey with TCL in 2003 as a member of the Taylor, Cullity Lethlean design team and Gavin provided research and design advice at the finalisation of the Master Plan. Construction of Stage 1 the Northern space and central plaza of the project is well underway. The Masterplan is online. 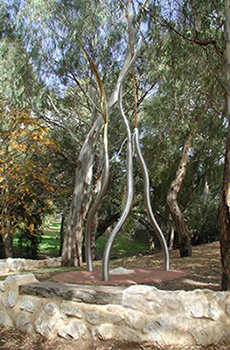 Aspects have been revised during design development. 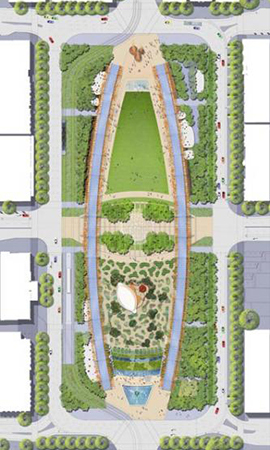 The Victoria Square/Tarndanyangga project by Adelaide firm Taylor Cullity Lethlean was selected as an exemplar in urban design, with the jury lauding the project for its observation of site context, history and Aboriginal/Kaurna culture. 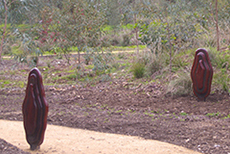 Mullabakka – Centre of Culture is an integrated building and landscape, a key feature in the regeneration of Tarndanyangga. 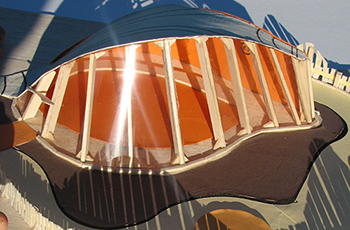 The design concept for the form of the building, based on a mullabakka – wokarlti, Kaurna shield, rising from the ground, was designed and modelled by Karl Telfer and final design collaboration with TZG Architects, members of the TCL Design Team. The Bicentennial celebration is a paradox for myself and, I believe many others. 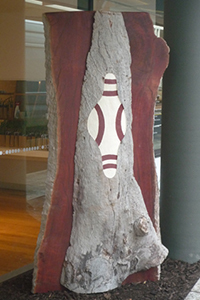 While it represents the two hundred years of settlement in a country of great beauty and wealth, it also represents two hundred years since the land was forcibly seized from its former owners, the Aboriginal people who were its custodians for over forty thousand years. Any project set down to celebrate the Bicentennial which does not include the later fact, is, I feel, deficient. 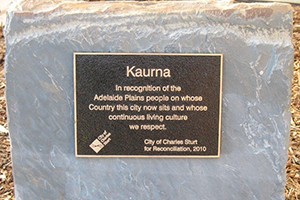 Over time the marker had become ‘lost’ and in 2009 the City of Charles Sturt commissioned its upgrading and the inclusion of a Kaurna acknowledgement. Bulto Ityangga comprises the local landform, sculptural forms, the backdrop topography of the hills and river, sight lines and place making. 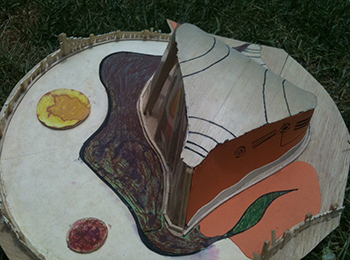 It makes full use of the site, intimate and expansive; physically (Country) and meta physically (Story). 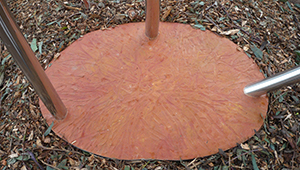 Further detail about the Marker is available on our Webpage section Writing about the Markers. 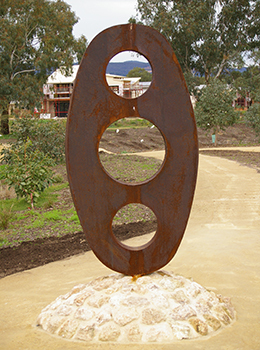 The Marker was undertaken in collaboration with sculptor Greg Johns. Tappa Parruna/The Journey of Life has two components, Yitpi Tukkutya Parrundaiendi/The Dancing Spirits and Purru Waiendi/The Flow of Life. Yitpi Tukkutya Parrundaiendi celebrates life, the eternal spirit and nurturance. 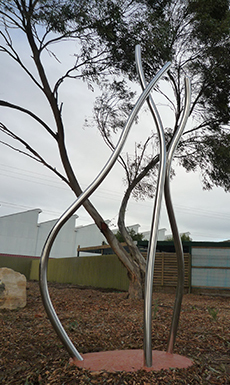 Located adjacent the creek in trees near the front entrance of the hospital, two abstract figures – one male, the moon, and one female, the sun – dance with the wind and trees around Koonteroo, the Kuri dance stick. 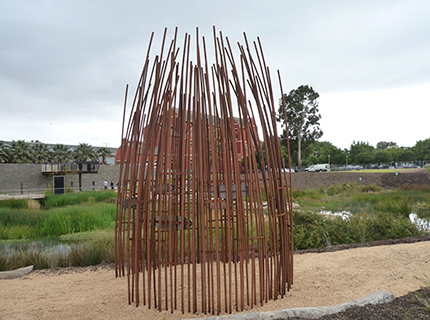 Purru Waiendi is a flow pattern, which emerges from the creek bed and flows past Yitpi Tukkutya Parrundaiendi towards the hospital buildings to symbolically connect the healing waters to the place of care. 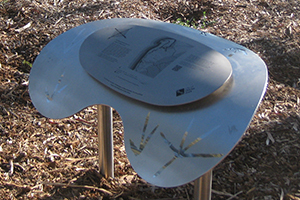 Further detail about the Marker is available on our Webpage section Writing about the Markers.